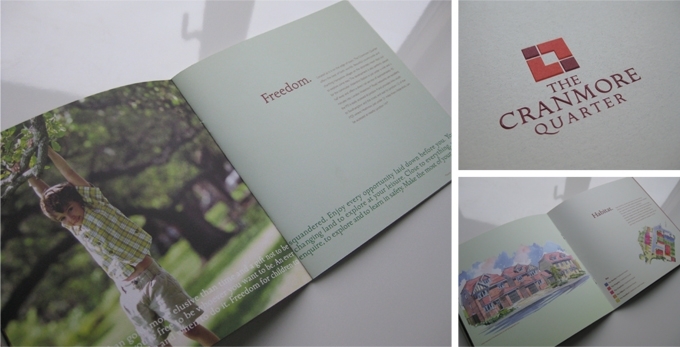 Branding and marketing brochure for The Cranmore Quarter – a select development of new homes in Aldershot by property developers CDC2020. The homes are a balance of character and style, light, space and proportion. 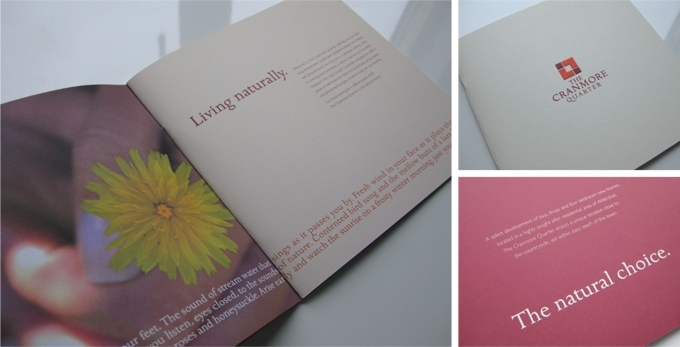 The beauty and setting of the surrounding hampshire countryside was the inspiration for the theme of ‘The natural choice.’ Heavy, textured, uncoated paper, atmospheric photography and watercolour artists impressions played to this theme. Combining all of these is evocative copy running across all the pages inside. The logo is based on the secluded layout of the homes and the idea of a ‘Quarter’ indicating exclusivity.